First, click Signup Forms in the left sidebar. Then, click the + New Signup Form in the top right corner and choose Signup Page. 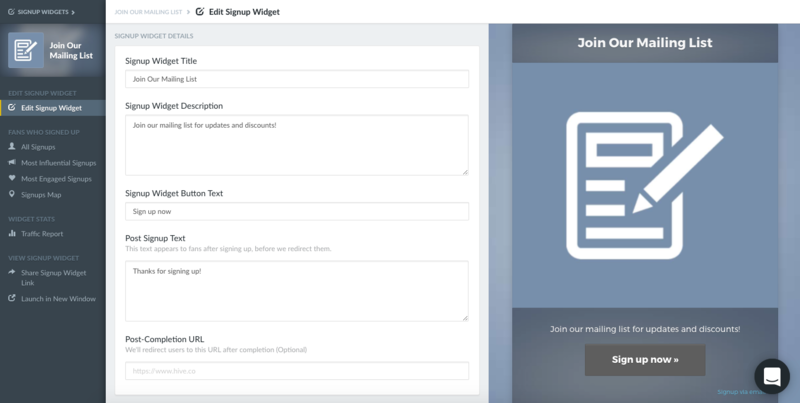 Now you'll be able to enter details for your signup page. You can see a preview of what your page will look like for the user on the right side of the page. Here you can choose an image, enter a title, description, button text, and more. Once you click Save you’ll see all the ways you can share your signup page.